Sewage backups can cause serious damage to a property. On top of that, it can be a serious risk to the health of those exposed to it. When dealing with sewage water, it is important to respond quickly and seek immediate help. 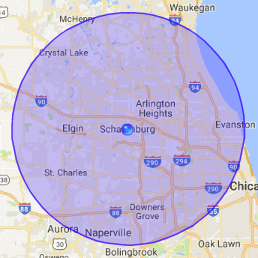 At 911 Restoration of Schaumburg, our sewage cleanup team is available 24/7, 365 days per year to provide restoration services and help ensure the safety of those who inhabit the property. The sewage cleanup experts on our team understand how serious of an emergency dealing with a backup is. For this reason, property owners can expect the team to arrive onsite within 45 minutes of the phone call. They have the necessary equipment and gear needed to provide sewage cleanup in a safe, efficient manner. Without proper equipment and sewage cleanup services, this water can contain harmful bacteria, viruses, parasites and more that can be life threatening. When the sewage cleanup team arrives at the property, they will begin by assessing the damage and determining the cause behind the backup. 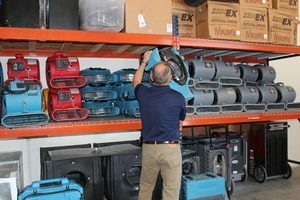 Once the damage has been properly assessed, they will notify property owners of what restoration services are needed in order to get the property back to pre-damage condition. At 911 Restoration of Schaumburg, your safety and the safety of those who inhabit the property is the sewage cleanup team’s number one concern. For this reason, property owners can guarantee our team will take every step necessary to remediate the residential or commercial property and check for any other potential damage. Call 911 Restoration of Schaumburg for sewage cleanup services and to get on the path to a fresh start today. Hair buildup and other bathroom waste. When hair gets in the pipes, it can begin to clog it and cause a sewage backup. Sanitary napkins, diapers and paper towels are also a huge leading cause in the need for sewage cleanup and water damage restoration. In order to avoid the need for water damage restoration services, be sure to avoid using the toilet as a trash can. Structural damage. As time passes, pipes begin to suffer from structural damage. They may experience corrosion, which can lead to a backup and the need for sewage cleanup. Grease. While it may seem convenient at the time, pouring grease and oil down the kitchen drain can cause some serious after effects like a blockage. When these blockages occur, it creates a build up and will need water damage restoration services. So, avoid pouring grease and oil down the drain and use the garbage can instead. Tree roots. This may come as a surprise, but tree roots are one of the main causes behind sewage backups and the need for water damage restoration. When tree roots grow, they can make their way into the sewer pipes which can corrode and block them. Sewage backup caused by tree roots is a hard issue to avoid unless you receive regular maintenance. Diagnosing the reason behind the sewage backup is important for receiving the right water damage restoration services. The sewage cleanup team at 911 Restoration of Schaumburg has the knowledge, training and experience needed to determine the root cause behind the issue and will know the right steps to take to provide total property restoration. Rather than trying to provide sewage cleanup services on your own, call our team of experts. They will work quickly and diligently to restore the property and your peace of mind. Staying out of a sewage affected area is important due to the potential hazards it can have. 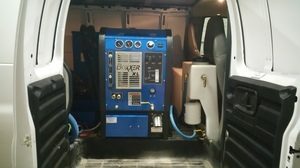 The Schaumburg water damage restoration team will arrive with the necessary gear and equipment to provide sewage cleanup services while you can rest assured knowing the problem is being dealt with. In addition to providing sewage cleanup, our team will file the insurance claim for property owners to ensure they receive the highest claim possible. When you choose 911 Restoration of Schaumburg, you choose a team that truly cares and understands. Call the sewage cleanup experts for water damage restoration services today.